You can just imagine the possibilities, right?? 1) Head on over to Cutting Edge Stencils and pick out two favorites. 2) Come back to LTC and leave a comment on this post letting me know you 2 favorites for one chance to win. 3) For a second entry, you can 'like' us on Facebook or Follow us on Twitter, then come back to comment, letting me know what you did! Good luck! You'll have until next Wednesday to enter. Stop by for next Thursday's post to see who the lucky winner is! THIS GIVEAWAY IS NOW CLOSED. PLEASE STOP BY TOMORROW FOR THE WINNING RESULTS! I'm a big fan of the hour glass allover and the missing link. Love them! Oh, and I'm a new twitter follower! I've seen their stencils before and think they've got a great selection. Hard to choose just two! I'll go with the oceana damask and the damasque stencils. I love the wispy and hour glass all over. And your wall turned out perfectly. Great choice on the stencil! And, I like you on Facebook! Although I really love Wispy Leaves Allover Wall Stencil too! I love the Missing Link all over stencil and pretty much every damask all over stencil! I kept saying, ok, I like this damask, no wait, I like that one, no that's the one! All so beautiful!! They are all so absolutely gorgeous...I don't want to pick just two. However, after deliberations, I think my two favorite are: the Spring Songbirds Wall Art Stencil and the Wispy Leaves. So beautiful! I'm really inspired to do this stenciling! I like Acacia and Hourglass. Thanks for the giveaway! Any and all of the fossil stencils. I'm a geologist who has always had an interest in fossils, as evidenced by my collection here at home. I like the Hourglass All over and the Spring Songbirds stencils. So cool!! It was so hard to pick just two. Birds on a Branch & Hourglass Allover. The trellis, acacia, or hour glass stencils give me lots of ideas for my house! These are fantastic. LOVE the Diamond Damask & Hourglass Allover. I need something like this for our Master bedroom! This would be perfect!!!! I loved the Hourglass allover that you used and really like the Birds on a Branch too. "liked" you facebook! Hope I win!! found and "liked" you on Facebook! The Bamboo Grove or Japanese Maple Grove would be perfect in my Asian inspired bedroom!! I want the Trellis Allover scencil. I've been admiring it for a while!! I love the iron gate and the hour glass all over. Yours turned out beautifully. Japanese Maple and the Sycamore are my two fav's!! Looking forward to redoing my 1/2 bath! Hi:) i had fun looking at all the stensils...it was hard to just choose 2. I liked the wisteria border stencil and the falling leaves stencil:) so neat! looking for an unusual and different way to redo our bathroom. I HAVE to have the Hourglasss Allover Stencil. I've made 3 attempts to create my own and have failed miserably each time. I also like the Missing Link for the Man Cave. Crossing fingers, toes, arms and legs that I win!! I have been in love with the fresco series since I first saw it several years ago... It is on my list to paint one day!! I also love the coffer panels. Very well done designs! I "liked" you on Facebook as well! I like the iron gate all over stencil and the hour glass all over stencil. Both would make my walls beautiful! Hour Glass Allover Stencil & the Marie-Antoinette Ceiling Medallion Stencil. I'm totally with you on the Acacia!! and, the Birch Forest is amazing!! I'm in love with the Japanese Maple Branch Stencil and the Flower Stencil "Allim Twins". I love the Poppy Field and the Damask stencils. I am dying to put a little Poppy Field on my livingroom wall. I have a piano wall that you see when you first walk in our front door. I'm thinking a nice stencil with tone on tone is the way to give it some pop. I think the Hourglass stencil would be need for all over or Funky Wheel for some kick. I love the one you used and the acacia all over! SO AWESOME! Oh my goodness! I'm so glad you introduced us to them...their stencils are awesome!! My 2 favorites, at least today!, are the Budding Clematis 5pc Stencil kit and the Large Tree & Birds Stencil. Seriously so cool! I hope I win!! 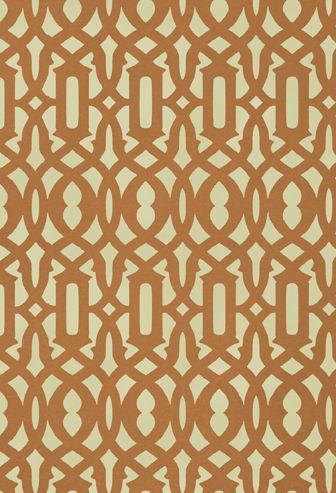 I do love the houndstooth stencil, but hands down my favorite is the acacia stencil. I just love it. It reminds me of Orla Kiely patterns. I think this would be an awesome project for the upcoming winter months when I am stuck inside! That sure would brighten up the joint. Love the ones with trees and birds. Spring Songbird is my fave followed by birds on a branch. I love the Brocade number 1 and Designer Stencil "Vine" by Diane Paparo Studio, there are so many I would love to have! The Irongate and the Birch Forest are my favorites. I love the Virginia Creeper Border/Stripe Stencil, and I think the Birds on a Branch Wall Art Stencil would be adorable over a bed. My two favorites are the missing link stencil and the funky wheel stencil. I love the Damask Stencil Anna for the dinning room and my little "twins" would just love the Flower Stencil "Allim Twins" for their room! Hmm, between the Brocade No. 1 and the Houndstooth Large Scale. Tough choice! 1. the Acacia that I would love to have up in the office to add some flare. 3. the hour glass that you did behind our tv is also a cool one. I am a follower of yours on facebook. I love the Spring Songbirds Wall Art and the Virginia Creeper Wall Art. Thanks for the giveaway! I love the Peony and Poppy Allovers and the Bamboo Grove stencil (I know, that three! It's hard to choose!). One for an accent wall and one for my baby girls room. I love the zinnia and trellis allover stencils. Super cute! I love all of their stencils! If I have to choose it would be the Hourglass and the Damask Anna! I absolutely love the birch forest all over and the hourglass ones. So cute! I think I'll jump on the bandwagon and say that the hourglass all over stencil is my favorite! Ohh..the hourglass and acacia all overs are great!!! I'm deciding between the Allover Poppy or Allover Peony for my entry. Now if only I could win one of these giveaways! I love the damasks, and the lemon wreath that they show around a chandelier is so pretty too. Great designs! two fav stencils: bullfinch stencils (or any of the bird ones for that matter); and the acacia all over stencil. I love "Spring Songbirds" and "Large Tree and Birds." So fun! I love the Funky Wheel and the Falling Leaves but there are tons of great options. Great patterns. I would love to use the Hourglass and Trellis! I can't believe what a huge difference it made in your living room! I'm a new Facebook follower! 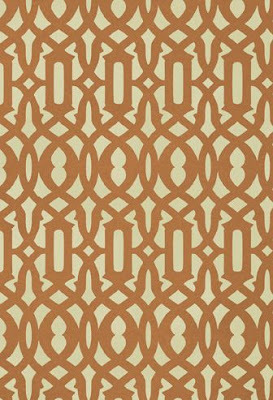 I absolutely LOVE the Hourglass Allover Stencil (and could actually see it working perfectly in my living room too...) and I also really like the Acacia Allover Stencil. I think I might really want to try it!! You did a great job Patrice! I loved so many of them!!! Just moved in and have been looking for something like the Bon Appetit Large Stencil for my kitchen. So perfect. And I also loved the acacia allover. The ones you guys have posted are adorable too!!! love, love, love the trellis all over stencil...I can think of so many uses for this one. And the birds on the branch stencil is beautiful too. Would really enjoy trying one of these out. Thank! Okay ... the birch forest allover and, for my front hall, the Dominique chicken. I am totally in love and it was so hard to choose 2! I really love the water plantain and the iron gate stencil. love the trellis and hourglass stencils-- so classic! I really like the funky wheel wall art. that would look awesome on my orange wall in my living room. 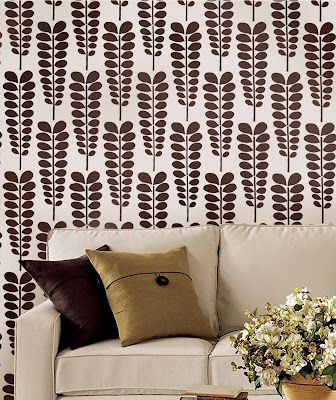 I also liked the Designer Stencil "Vine" by Diane Paparo Studio. I love the Allover Wall and Chrysanthemum Twist stencil! I just stumbled upon you just recently and am a follower of your blog! I also "liked" you on facebook. I love your stuff and ideas! I adore the "Spring Songbirds Wall Art Stencil" It would inspire my entire bedroom! My other favourite is "Diamond Damask Stencil", and I would design an entire space around it! I sure do like you on Facebook now!!! I like the houndstooth allover and the acacia allover stencils. Thanks for a fun give away! I "like" you on facebook as well!!! If there was a "love" button on Facebook, I would "love" you... but there isn't so I "liked" you! I am a new subscriber. Love your site.. I "liked" you on Facebook.. I'd love to use the damask Anna or Verde in my bedroom. My two favourites (if I can only choose two!) would be the birds on a branch wall art, and the aspen designer stencil. Fabulous stuff! I have never tried stencilling before, but after seeing this website, it makes me want to! i've been thinking sbout doing a similar project in my living room --- i love the Trellis Allover Stencil and Hourglass Allover stencil. love Brocade No. 1 and the Zinnia Grande Flower Stencil, LOVE!! I would love to try the Hourglass Allover and Birches! This would be so fun to try out! I like the Acacia allover and the hour glass allover stencils. I think it's unanimous - the hourglass allover stencil is a winner! It's beautiful! I also like the spring songbirds stencil. Thanks for the giveaway! I really like the acacia allover, or the hourglass all over! Loved the Diamond Damask and the Hourglass. Beautiful! I love Budding Clematis and the Zinnia Grande. They are so pretty. Garden Gate would incredible on a screen I'm redoing and the Aspen in the designer series is lovely! LOVE the "Large Tree and Birds!" I like many more, but I'll pick Trellis Allover as my second. My favourites are missing link and hourglass allover. Wispy leaves! and Birds on a Branch! Cutting edge stencils are awesome! Ilove the hourglass and the casablanca! OMG...this giveaway couldn't have come at a better time...I'm dying to try this!! Your wall turned out amazing and is a huge inspiration for me! My two favorite stencils are the Casablanca & the Damask Oceana! I love following your blog...thanks! Oh my goodness, these are amazing. I love the spring songbirds and the three trees, but I love so many would probably change my mind if I were so lucky to win. I really like the casablanca allover stencil and I also like the Garden Anemone wall art stencil. There are so many cute ones!! I LOVVVVVEE the Cirtus Branches Stencil and the Allium Gladiator Flower stencil. If I don't win, I'm going to buy the Allium for my bathroom! I love the Anna Damask--it's perfect for my master bedroom accent wall! I also love Birds on a Branch for my entryway. Birds on a branch wall art and Spring Songbirds are my fave! The Japanese Maple Branch is a favorite... it would be awesome in my daughters room, and the chrysemthemum twist.... I just really like that one! would love to try the Hourglass Allover stencil and Damask Stencil Verde! I love the Casablanca Allover Stencil and the hourglass allover stencil! Well, I love more than that, but these are the two I chose for now, but I am sure I would have to change my mind several times because I like just about all of them!!!! I have "liked" you on facebook and now follow you on twitter! Yay!